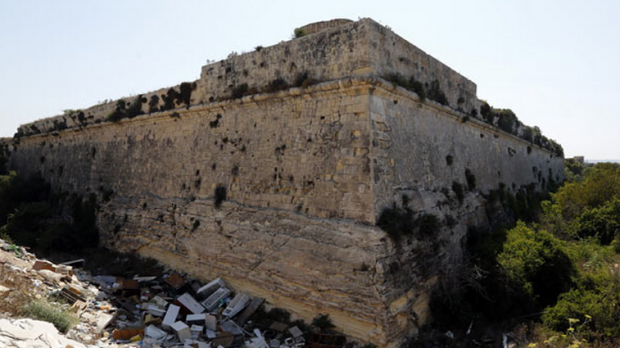 A suggestion that Fort San Salvatore could be an alternative to Żonqor Point for a new university in the south overlooks the fact it has been privately owned since 1982 thanks to a deed by former Labour prime minister Dom Mintoff. The deed, tabled in Parliament yesterday, dates back to 1958 when one of the last things Mr Mintoff did before his Labour government resigned was to hand over the historical fort to his brother, Ray. The contract turns over the property to the owners of Prestressed Concrete Limited for use as a batching plant. The ground rent was £100, payable to the Treasury in advance every six months. One month later, the government resigned after passing the ‘Break with Britain resolution’ when the colonial government would not commit to guaranteeing workers’ jobs with the British services. Riots followed, mostly in the Three Cities, where even police stations were burnt down. In 1982, again during the time Mr Mintoff was prime minister, the emphyteusis for Fort San Salvatore was redeemed and, thus, became private property. The fort – a national cultural heritage site - was acquired for just €4,650.